Place the egg, cream, sugar and vanilla in a bowl and whisk to combine. Transfer to a shallow tray and set aside. 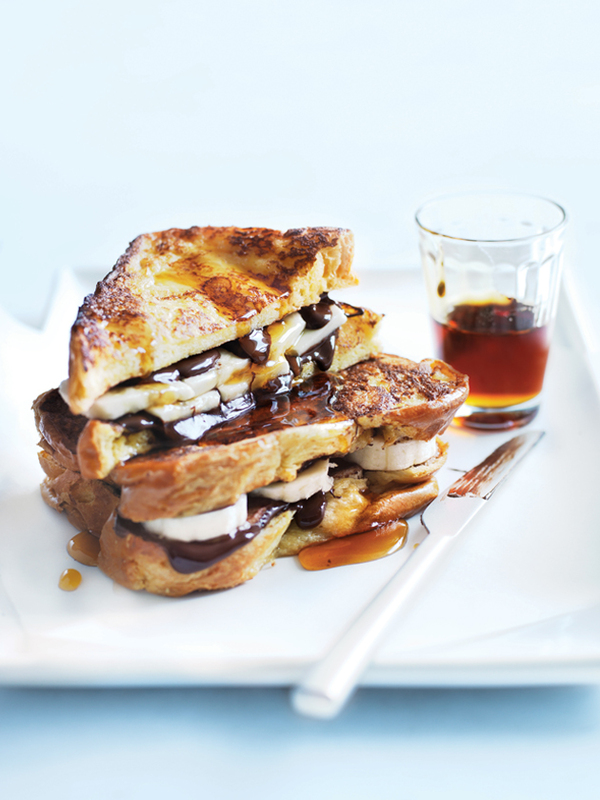 Sprinkle half the brioche slices with the dark chocolate, top with the banana, sprinkle with the remaining dark chocolate and sandwich with the remaining brioche. Carefully dip both sides of the brioche sandwich in the egg mixture. Heat a large non-stick frying pan over medium heat. Cook the brioche, in batches, for 1–2 minutes each side or until golden and cooked through. Serve with maple syrup. Serves 4. + You can assemble the French toast the night before, just store in the refrigerator tightly wrapped in plastic wrap and dip in the egg mixture just before frying.